My efforts to develop a cabin fever bed are starting to bear fruit. The winter aconites have come and gone, but I have plenty else starting to bloom. I purchased Bulbocodium vernum from Odyssey Bulbs last year. It is colored like a colchicum and used to be called a colchicum, but is now a separate species in the colchicum family. 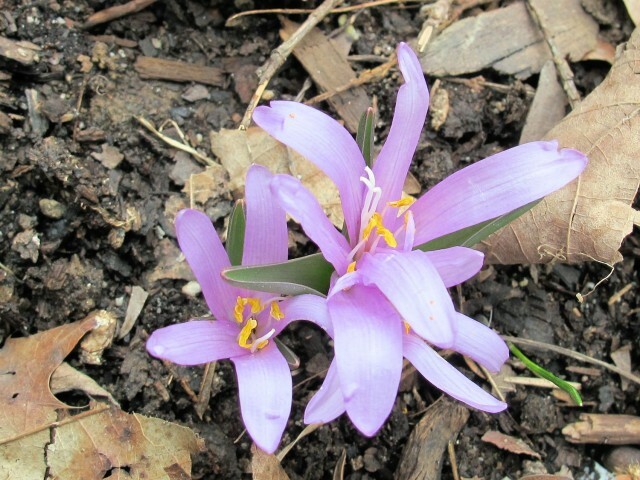 Colchicum hungaricum ‘Velebit Star’ – a spring blooming colchicum! ‘Velebit Star’, another plant from Odyssey Bulbs, is my first spring-blooming colchicum, and to my eye looks less like a colchicum than the bulbocodium. I don’t think it was fully opened when I took this picture. Hellebores take time to settle in. All of these were in the Cabin Fever Bed last spring but they have a lot more buds on them this year. 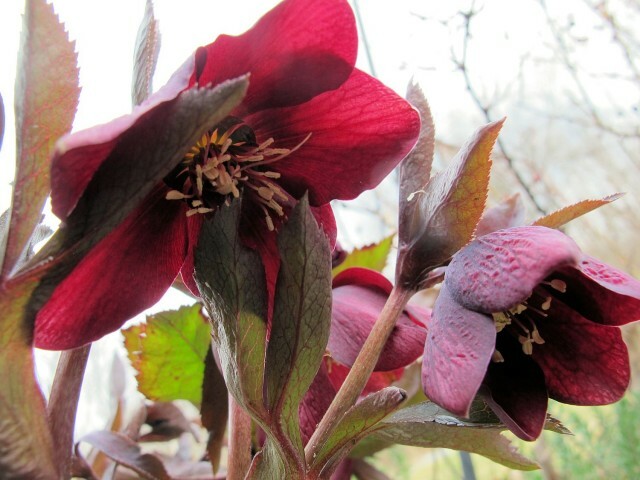 Helleborus niger–the Christmas Rose–is supposed to be a little bit fussier than the Lenten Rose (Helleborus orientalis and its hybrids), but I think it’s worth the extra fussing, especially for the cold climate gardener, because H. niger blooms much earlier in the spring (and sometimes in late fall). ‘Double Fantasy’ (above) is not looking very double. There is a row of petaloids surrounding the reproductive parts, but it’s pretty hard to see them in this picture. Speaking of H. niger being more fussy, remember how I almost lost ‘Josef Lemper’? Well, he’s still alive and starting to bloom again(above). ‘First Cuckoo’ is a full double that hasn’t opened all the way yet. 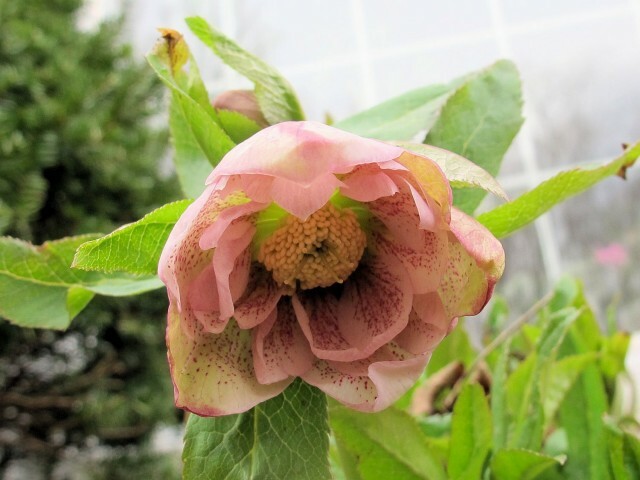 ‘Phoebe’ (above) is clearly a double, and an early bloomer for a hybrid. This is a seedling I got from Nan Ondra. Several years ago, Nan Ondra sent me some winter aconite plants after I complained about having trouble getting them going. There “just happened” to be some hellebore seedlings mixed in with them. Nan told me she got the seed from Phedar Nursery and my seedling was a baby of one of the plants she grew. So I call it ‘Nan Ondra’s Red’ and think of her gratefully every year it blooms. My mom gave me her clivia. 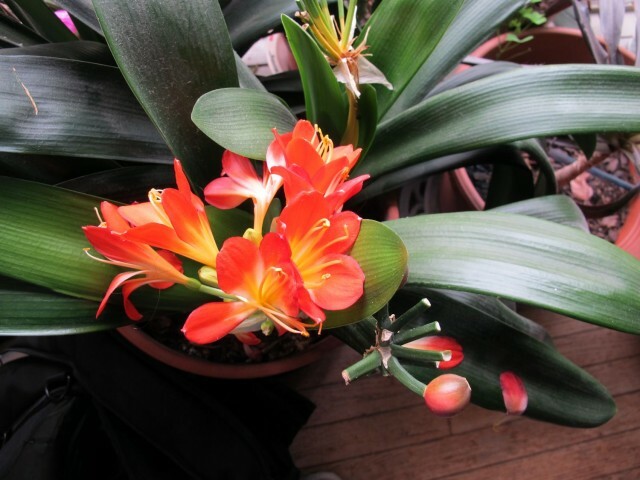 This is the same clivia I repotted a couple of years ago. 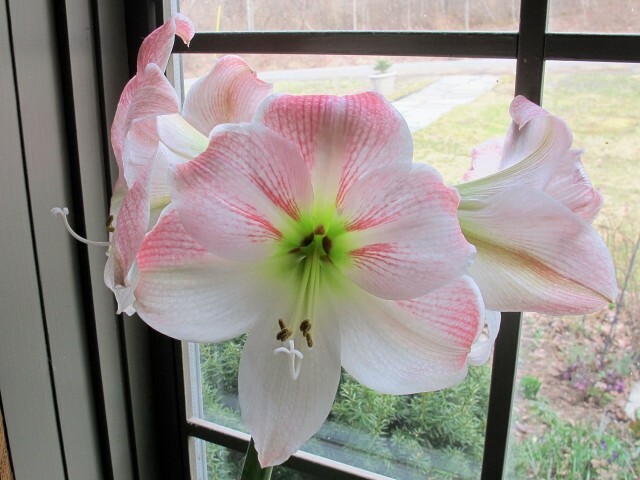 The amaryllis that I thought I killed, on its second bloom stalk. Go figure. Above is the amaryllis I tried to get to go dormant, and then I gave up on that and started watering again. I really don’t know what I’m doing right, but after the first flower stalk with five flowers on it, it sent out a second stalk with four blossoms. At the old house it was the Crocus Bank. Here, I’m just calling it the Crocus Patch, though eventually I hope it’s more of a ribbon or a stream. You may recall that I started planting crocuses in the lawn here in fall 2012. In the picture below (and the very first image at the top), those crocuses are blooming lustily. The crocus in the foreground were planted two years ago. The crocus in the back on the right were planted last fall. In the far right corner you can see the crocuses I planted last year just beginning to bloom. 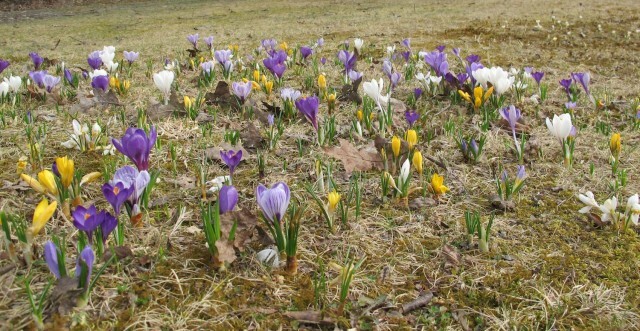 In my experience, after they settle in they will emerge and bloom at the same time as the previously planted crocuses. Creating these grand effects takes time. I hope to plant another adjoining five-foot-square patch this fall. That’s enough to hold me until next week, I guess. The first daffodils are on the verge of blooming and pretty soon I will see corydalis, creeping phlox, and lots of other flowers I don’t remember at the moment. Spring is here! I haven’t made it down to the ‘orchard’ yet this morning, hoping to see Glory of the Snow and some scillas, but I can see buds on the early daffs which are the bulbs close to the house. Bad planning. Next time I’ll make sure I have early early bulbs where they can give early encouragement. Happy spring, Kathy! We’ve waited a very long time for it! Isn’t it wonderful to finally have some color in the gardens again and to be able to get our hands dirty? Lovely to see your spring blooms. 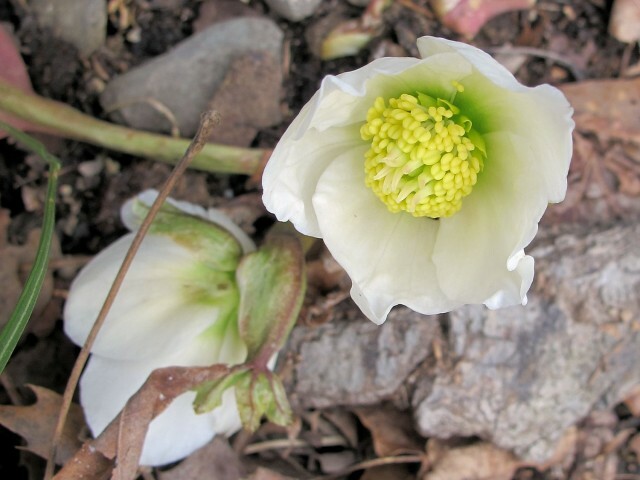 I noticed yesterday that my Bloodroot is just beginning to open its flowers. Just a few daffs blooming so far but lots of crocuses, scillas, snowdrops and 2 Hellebores. 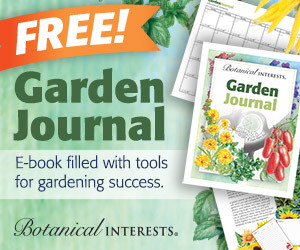 Bright sunshine here this morning…looks like a perfect gardening day in upstate NY. I hope you’re able to get out and enjoy it, as I’m planning to do. Kathy what a glorious sight to see spring in your garden…and all the crocus…the voles got to so many of mine. Oh, so sorry to hear about the voles. 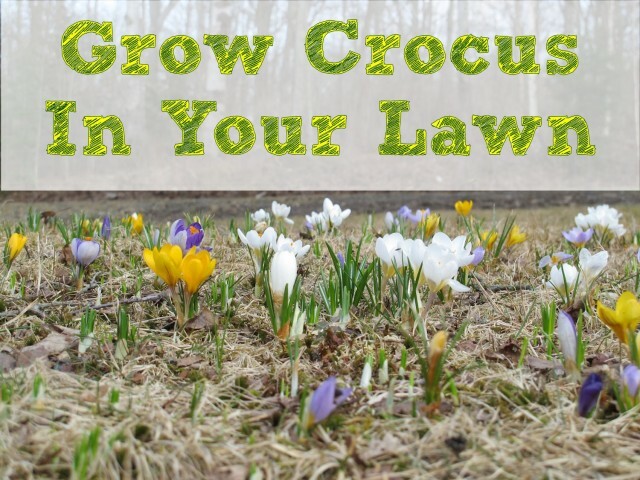 The crocus that are in the lawn are in very stiff clay. The voles go after easier eats here. If I plant them in garden beds, they are surrounded in grit. I want a cabin fever bed too! Thanks for the inspiration. Kathy, the crocus look great! In 4B the tops are just poking through the lawn, hoping the past winter knocked down the rabbit population some. Waiting for the Fritillaria to start coming up, planted 150 on the side of the yard thats damp and shady. Love the idea of the cabin fever bed. I might need one myself! 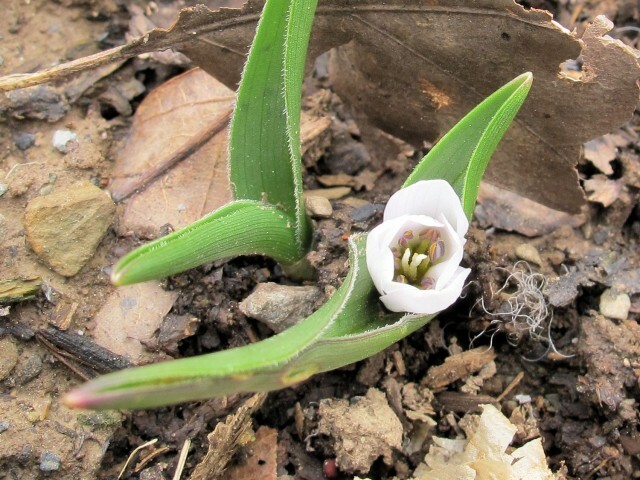 Colchicums are poisonous to mammals. Not sure about bulbocodiums but since they are in the same family I would guess so. Looks like there’s some spring breaking through up there, nice to finally see it! 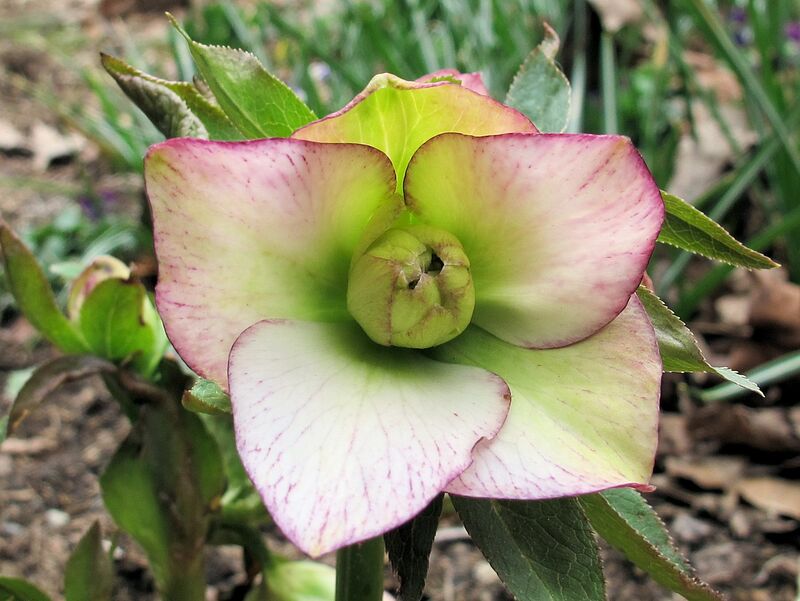 The hellebores look like a nice bunch, I didn’t realize the h. niger was earlier than the others, maybe if a couple of my seeds sprout I can have my very own some year. 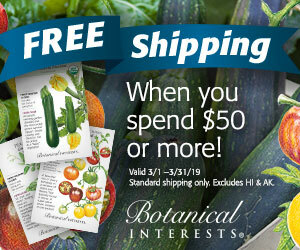 ….and a couple of the bulbo-colchi-codiums, I was already eyeing them in the catalogs, wondering if I needed them. Now I know! 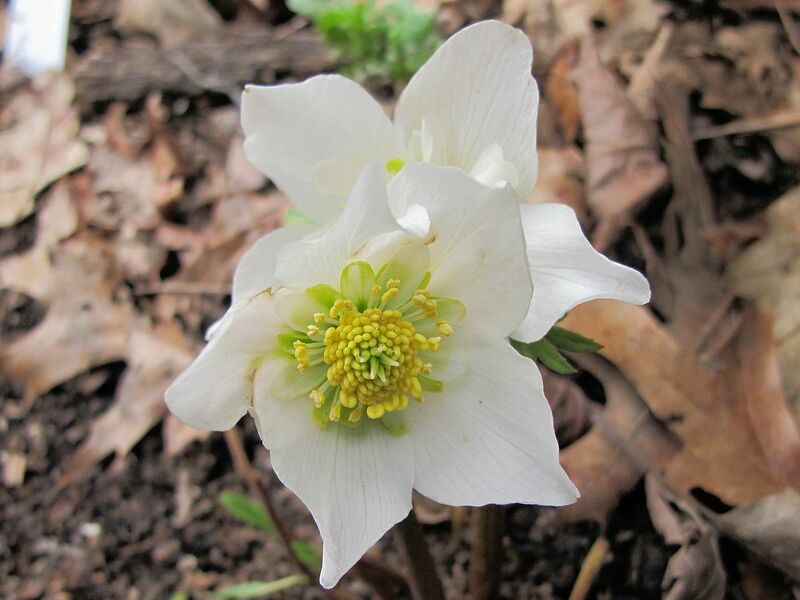 Yes, some Helleborus niger will bloom in November and December for me–until they get buried in snow, that is. Then they kind of go into suspended animation.